As we all know, natural curly hair styling can take some time and it has to be done right, if it’s not, all of that time is wasted and you have to start back at square one. One of those styles is the twist out. 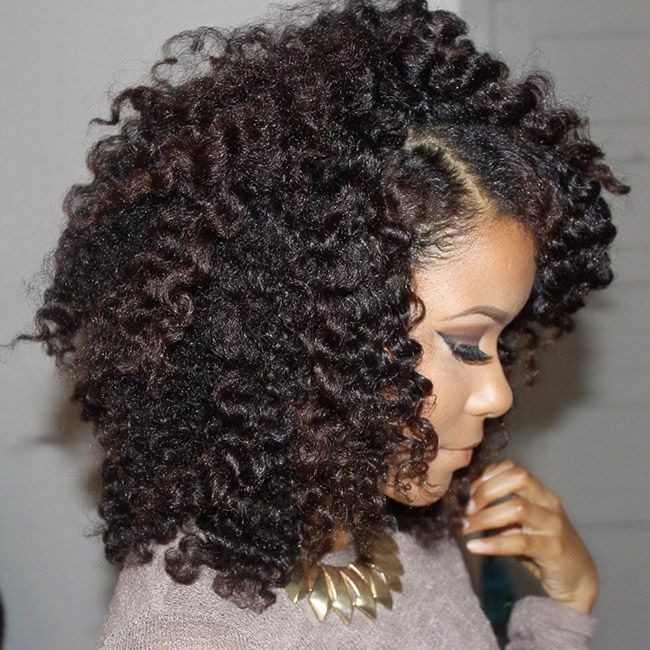 Here are some tips for making your twist out last from the moment you begin the style all the way to the finish. 1. Twist on wet hair. This may take longer to dry, but you get better definition and a sleeker looking style and of course, it doesn't need to be soaking wet. You can soak up most of the water with a t-shirt or microfiber towel but be ready to twist right away before it starts drying. 2. Twist with ample moisture. Apply ample moisture before twisting each section with a cream or butter. This will ensure that your twists look shiny and moisturized for as long as possible. 3. Ensure that there is plenty of hold. There is nothing worse than spending a lot of time styling your twist-out only for it to last just a day or two. If you don’t have enough hold, that’s exactly what will happen. Frizz is bound to ensue if you don’t make sure you have good hold on top of your moisture. This is possibly the most important tip on this list because if you unravel when your hair is still damp, you will get frizz and you will get less definition and that is not conducive to a lasting twist out. Apply a light oil right before unraveling in order to cut down on frizz. 6. After your initial unraveling and fluffing, avoid touching. ...once your hair is unraveled and fluffed to your liking, avoid touching any further to reduce the occurrence of frizz. The smaller the twists, the longer they last so when twisting stick with smaller or medium sized twists, unless you want a chunky twist out and you’re okay with your style not lasting as long. This can be different for different people. Some like to re-moisturize daily while others do it every other day, whatever works for you. The only caveat is to not get the hair too wet-- your hair will revert back to its natural curl pattern. I prefer pineapple my twist outs at night or even if I’m just at home, to protect and keep it fresh looking for as long as possible. When sleeping you can even wrap a silk scarf around the base of your head so that there’s less friction and frizz when you wake up or just wear a silk bonnet, from my experience, it will not mess up your twist out. Like anything, perfecting the twist out may take you some time but if you follow these common tips for making your twist out last, I’m sure it will take you a lot less longer to get to that perfect twist out.